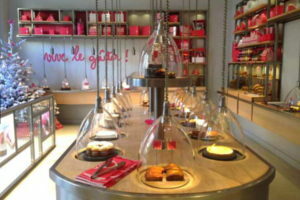 Posted in Paris, Paris Food. 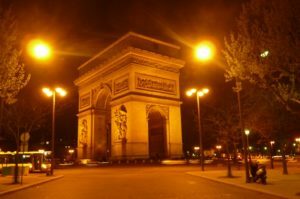 Most visitors have strolled up the Champs Elysees and thousands have taken in the magnificent view from the top of the Arc de Triomphe. They would be surprised to learn that the attractions of this part of the city don’t end with l’Etoile. 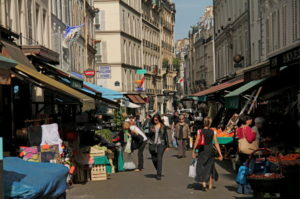 Venturing west, about 10 minutes’ stroll from the Arc de Triomphe, is one of the most inviting market streets in Paris. Taking the wide avenue de Wagram, typically heavy with traffic, simply ignore the numerous anonymous office buildings and discreetly affluent apartment buildings. Turn left at avenue des Ternes, and a stone’s throw from metro station Ternes, on the right you will come to rue Poncelet. You have just discovered one of the most unexpected pockets of this huge city. 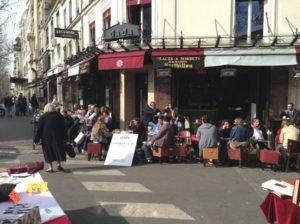 You will pass by one of the favourite neighbourhood cafes, Le Dada, at no. 12 avenue des Ternes on the corner of rue Poncelet. Suddenly, the whole atmosphere of the neighbourhood changes. 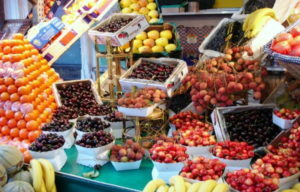 You will be confronted by fruit and vegetable stalls stretching out into the street, overflowing with the most beautiful fresh produce from all corners of the French countryside. 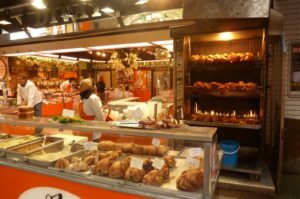 Vendors call out their specials to passers by, butchers sharpen their knives while their rotisseries slowly turn, filling the air with the enticing aroma of roasting poultry. 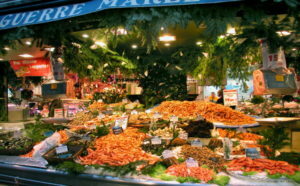 There are numerous patisseries and boulangeries, and some of the city’s finest fishmongers are found here, offering only the best and freshest seafood. 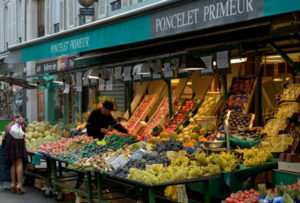 Patricia Wells, author of The Food Lover’s Guide to Paris and former restaurant critic for the International Herald Tribune and other publications, declares that some of the best fresh produce and cheese are to be found in the rue Poncelet market area. The famous Daguerre Maree seafoods. Photo, daguerre-maree. 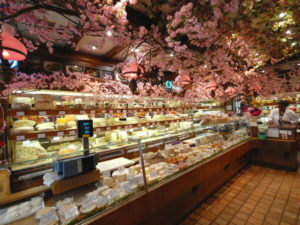 Some of her favourite vendors include Daguerre Marée at 9 rue Daguerre, Planète Fruits at 5 rue Bayen, and makes particular mention of the incredible Alléosse, famous for its aged cheeses. 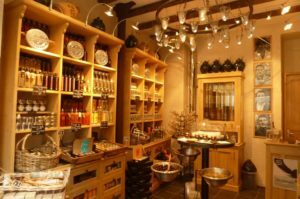 There are at least half a dozen pâtisseries, just as many fruit and vegetable vendors, a couple of outstanding fishmongers, a number of butchers—many such as Philippe Divay at Maison Divay make their own charcuterie—as well as specialty coffee and tea merchants and gourmet food shops. This is very much a market beloved by a loyal local clientele. Vendors chat amiably with customers and share neighbourhood gossip with regulars. This translates into developing a real relationship with the locals, and encouraging them to try little-known, interesting wines. 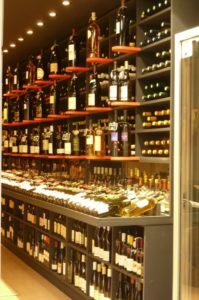 They always have a bottle of something new open for their customers to try, perhaps appellations from small villages such as Givry, Maranges or Marsannay, that offer great quality and value for money at considerably less price than their more famous neighbours such as Gevrey-Chambertin. 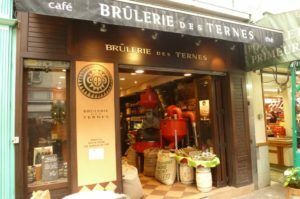 Unlike most markets, rue Poncelet is open all day, although traders close for 2 hours from 1.00pm, reopening at 3.00pm and close around 7.00pm. Everything is open every day except Monday and Sunday afternoon. Without doubt, rue Poncelet is the quintessential rue commerçante. 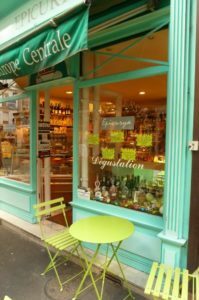 Just when you think you’ve seen most of what Paris has to offer, you come across hitherto unknown gems such as rue Poncelet—just one of the many delightful surprises this extraordinary city has waiting to be discovered. It’s such a lovely little corner of Paris that so few visitors ever find, despite being so close to Arc de Triomphe/Champs Elysees, so you won’t find many non-locals enjoying this delightful market street.